7 nights in a mix of comfortable small guest houses, hotels and auberges. Warm welcome and good local cuisine. 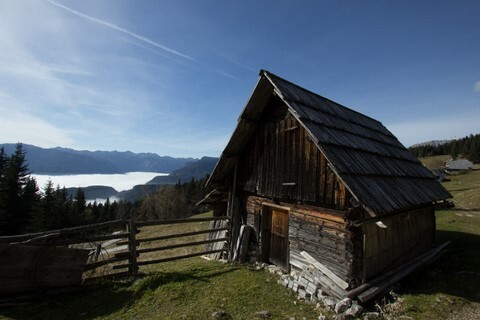 From the Karavanke Alps to the Julian Alps via the beautiful Lakes Bled & Boninj, discover Slovenia's varied landscapes, the Pokljuka Forest and Mostnice Gorge all in one independent walking holiday. Enjoy peaceful accommodation in typical auberges and B&B's. This self-guided walking holiday in Slovenia is a mixture of circular trails and walks between guest houses, crossing the Triglav National Park. 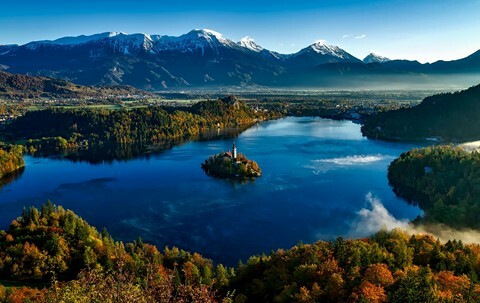 As well as many natural features such as gorges, lakes, waterfalls, mountains and forests, this walking holiday will also enable you to discover the Slovenian heritage including the local houses and their unique architecture, the local cuisine as well as the local lifestyle and traditions of the Alpine population. On this Slovenia walking holiday you'll disover two mountains ranges, firstly the Karavanke mountains which form a natural barrier with Austria where the German influences mix with those of the Slovenians in the local music, cuisine and farming practices. 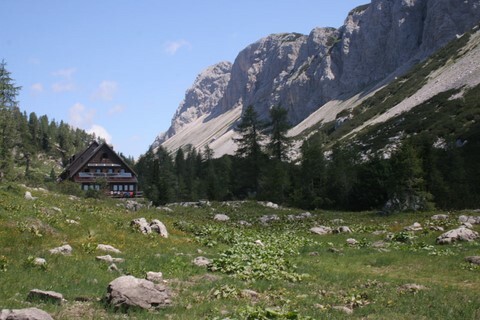 This is followed by the Julian Alps where you'll find a completely different landscape and atmosphere. A mix of immense forests with a rich wildlife and alpine pastures where local dairy products are made during the summer season and can be tasted accompanied by a glass of schnapps. In addition you'll be able to climb to summits over 2000m offering panoramic views across into Italy, Austria and the Save Valley. 6 days independent walking with a mixture of 3 walks between guest houses and 3 circular trails. The days average 6 hours walking with an average of +700m ascent per day. Maximum altitude gain in one day is +1000m. Your walking holiday is in a part of Slovenia which is rugged and mountainous - the paths are on limestone, and some sections can be rocky, with ocassional passages with cables for assurance. You should be reasonably fit, have a good head for heights and be comfortable walking on paths in mountainous areas. 7 nights in a mix of comfortable small guest houses, hotels and auberges on a half board basis. Rooms for 2 with private bathrooms. 2 nights in auberge, 3 nights in B&Bs and 2 nights in a 3 star hotel. Warm welcome and good local cuisine. A couple of the places are detailed below. Located in a small village of Zasip, near Bled, Tourist Farm "Pri Biscu" features a spacious garden. All rooms have private bathrooms. Transfer before & after holiday from Ljubljana train station or airport or Lesce-Bled train station. 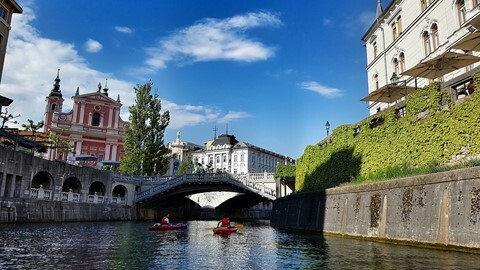 Flights from most major European cites to Ljubljana. Airline companies include Easyjet & British Airways. Easyjet flights from London Gatwick & Stansted. Also regular flights from Brussels and Zurich. Trains from all major european cities. From the UK trains go via Paris, Stuttgart, Munich and arrive at Lesce-Bled train station.